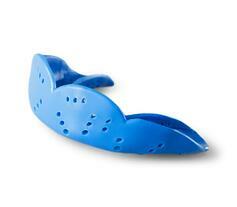 Most popularly worn by athletes, mouthguards protect their teeth (not their brain) from sudden, high impact forces. According to the American Dental Association, a third of all dental injuries are a result from sports. Without a mouth guard athletes can put themselves at risk for chipped or broken teeth, fractured crowns or bridgework, lip and cheek injuries, root damage to the teeth. 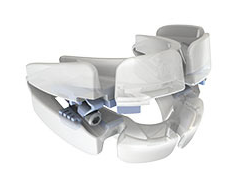 Night guards have been proven to be extremely effective for protecting your teeth from the harmful grinding forces of bruxism. While a night guard won't prevent or stop you you form grinding, it will act as a barrier between your teeth. Leaving bruxism untreated can lead to needing painful and costly dental treatment down the road. Snoring occurs when the soft tissues in the back of the throat vibrate and press against other throat anatomy causing resistance and turbulence – the snore sound. The anti-snoring mouth guards brings the jaw forward which widens the back of the airway, reducing resistance and turbulence – which can stop the snoring. Like we said, mouthguard aren't just for athletes! So, if you suspect that you grind your teeth or snore at night, talk to your dentist so they can recommend the appropriate mouth guard or alternative solution.